Thai-Swedish couple William Timhede (23) and Napatsawan Timhede (39) got married under the theme of adventure, in Prachinburi province, Thailand. 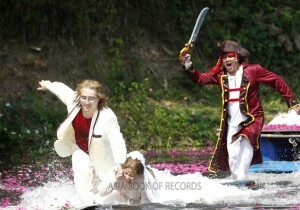 In the wedding, they were chased by pirates. Comments for PIRATE CHASED WEDDING are now closed.